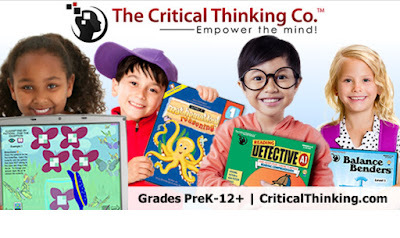 The following is a review of Something's Fishy at Lake Iwannafisha product from The Critical Thinking Co.™ with the TOS Homeschool Review Crew. 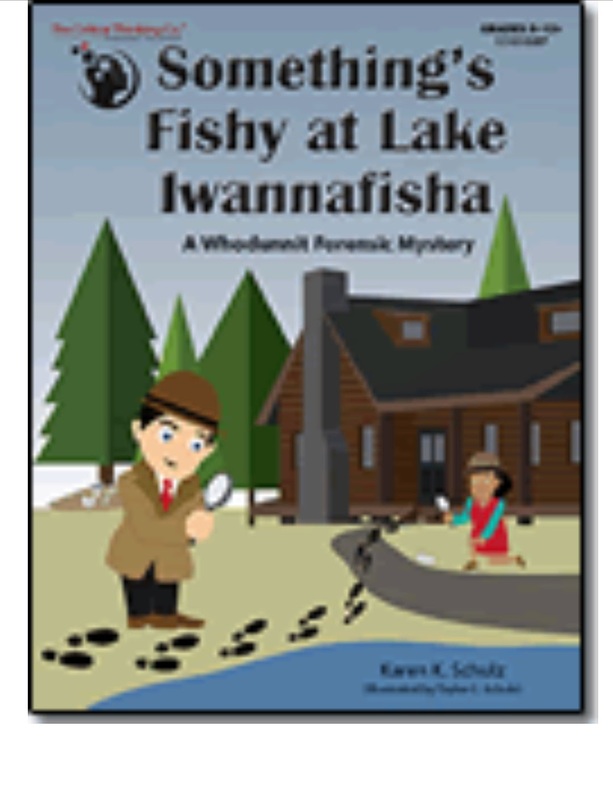 For this review we received the paperback workbook Something's Fishy at Lake Iwannafisha. This book presents a case to be solved which requires critical thinking skills be used by applying new knowledge to solve the case. Our family enjoys a good mystery, both on screens and in books. We also like playing games. Something’s Fishy at Lake Iwannafisha is a mystery that a family or group can solve together. But beware— it is not as innocent as the silly title and cartoon cover might suggest. This is a murder mystery, and clues revealed are combined with introductory forensic lessons. Everything needed to find the answers is included in the 124 page book, however applying other knowledge is helpful when solving different clues. Pages are perforated, and everything except the “for teachers eyes only” pages can be passed out to those solving the mystery. This includes Forensic Evidence Lessons, Crime Scene Reports and General Forms, Witness Statements, and Forensic Lab Reports. The forensic lessons are short but comprehensive introductions to crime research. 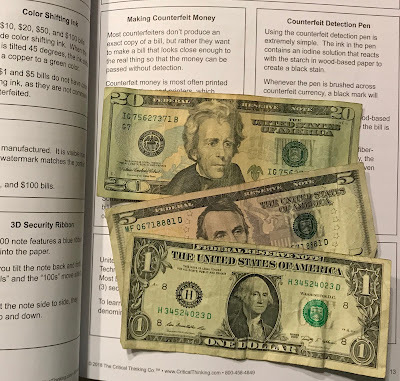 Counterfeit money, ballistics, handwriting analysis, and fingerprints were just some of the interesting lessons. The crime scene reports and forms provide guided instructions to complete the forms that will help solve the mystery. 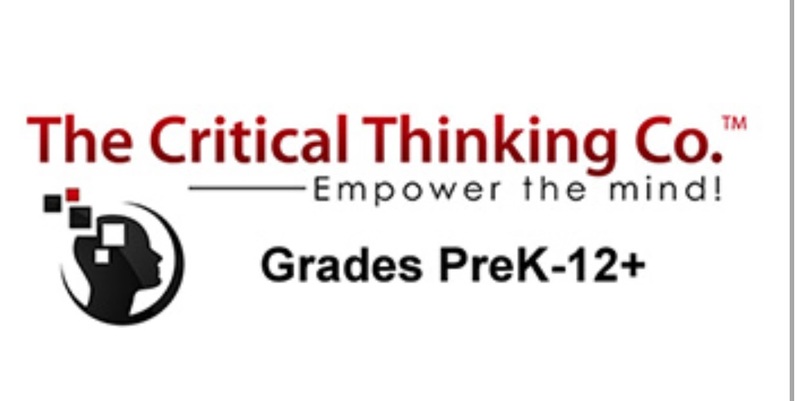 In addition to the perforated pages, a link is provided to print additional copies from The Critical Thinking Co. Forms can be completed by individuals or worked on as a group. All of the handouts are not just handed out to the crime-solvers at once. Instead, they are first given the forensic lessons. 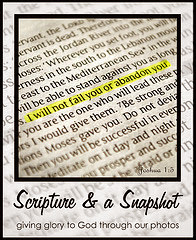 Pages 1-25 can be torn out of the book or printed from the link. I clipped the “teacher only” pages closed and my family read the forensic evidence lessons from the book. 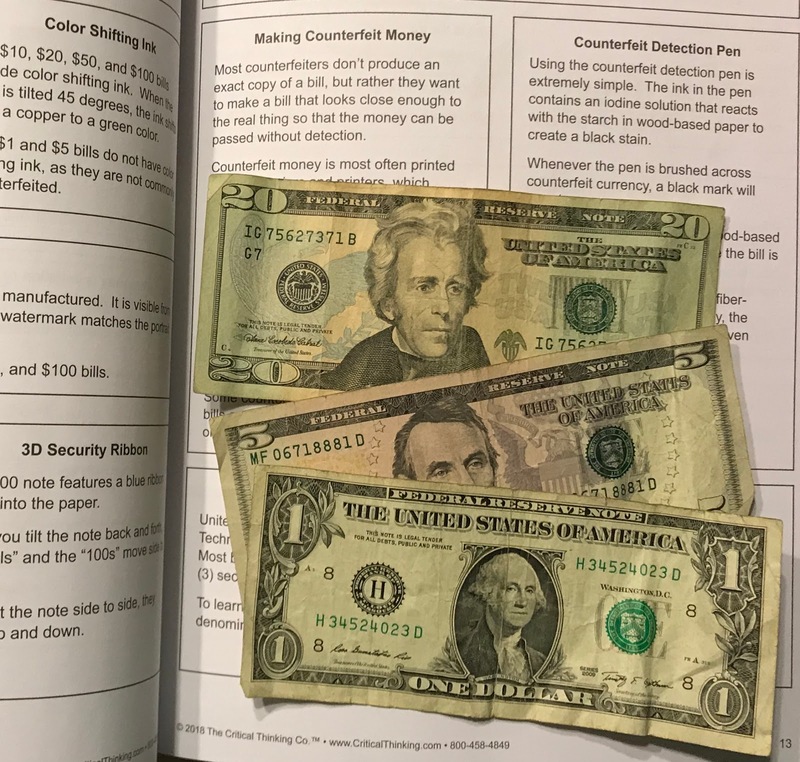 As we took turns reading the lessons, we all enjoyed learning about counterfeit money and my son’s questions enhanced our conversations. Do you know the difference in security threads and security ribbon in US bills? The anthropology lesson included some things reminiscent of my anatomy classes for my Occupational Therapy degree years ago. Details such as how to discover age or gender from bones were included in a lesson with multiple facts about bones which are not covered in a typical introductory biology course. If you like mysteries or have an interest in forensics, I recommend this for your family or group. Free Shipping + 15% Off Any Size Order! Use Coupon Code: TOSCREW18. Expires 12/31/2018. 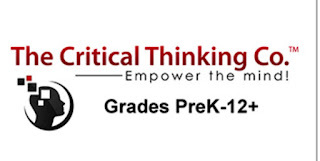 We have used so many great books from The Critical Thinking Co through the years. Click below to read other TOS reviews of this and other products. Visit The Critical Thinking Co on Facebook, Twitter, Google+, and Pinterest, and be sure to tell them hi from Jennifer at A Glimpse of Our Life.